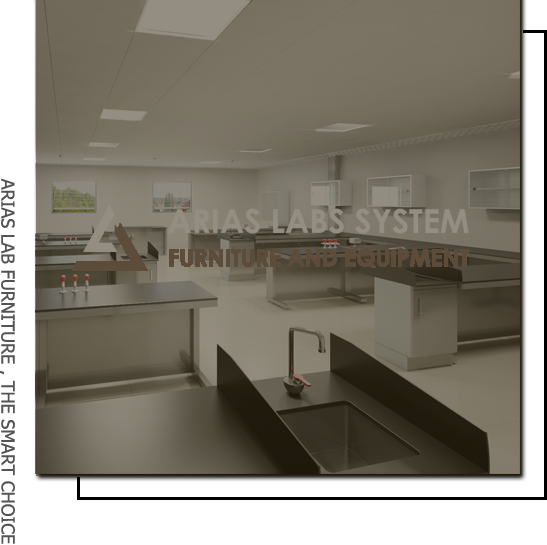 We are a lab furniture designer and manufacturer based in Spain : Our brand ARIAS LABS SYSTEM is manufactured in our factory based in Arganda del Rey with partnership of the best OEM Parts Manufacturers in Madrid. Our services include the design, planning, engineering and consulting. We and our partners , are providing you the solutions required for your laboratory systems. We aim to deliver to our clients the best proposition having in our mind Safety, Quality and best delivery time. Our team is an eclectic team with different backgrounds: Chemists, Engineers, project managers… All of them with a real experience in Laboratory projects. So we all understand what it takes to build a laboratory from the beginning till the end. That is why we are aware of the concern of each customer ( Distributors, PMTs, Consultants, Endusers.. ). 7 languages are spoken in our head office to facilitate communication with all part of the world. ACCESSIBLITY is our motto : Getting a safe laboratory of quality should be accessible to any company or organization in this planet, in terms of price, delivery, design and consultancy. That’s what all our department have in mind while working with the client, manufacturing or designing new products. We want to keep it simple, clear and safe. We aim to be the best European laboratory company in delivery terms. ©2016 Arias Labs System. All Rights Reserved.